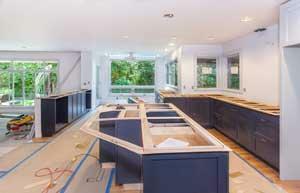 David Green Construction designs and builds all types and sizes of remodeling in Tualatin and the surrounding areas. We partner with you to create a design you find as functional as it is stylish and on budget. Everything we do is client-centered. Some designers tell you what you need, we think it should be the other way around. Only you know your family’s habits and the best use for a room. We start everything we do by listening to you! Once we have a good idea of what you need from a home renovation or room remodel, we can get more specific in creating a budget that brings to life your vision, while also staying within the parameters of what you want to spend. This all requires give-and-take communication between the contractor and the client. David Green and his team of experienced project managers work with each client, opening honest, straightforward communication throughout the process. Having more than 40 years of experience means we bring not only a stunning finished projects to fruition, but also have the skills to develop an accurate budget, obtain the relevant permits required, stay on target for the time frame we quoted, and minimize the disruption to your home wherever possible. David is a Master Craftsman, a distinction earned through rigorous testing by the State of Oregon. As a second-generation builder he handles any type of remolding and building project, large and small. He has hand-picked a team as dedicated and passionate about building as he is. The quality of our work is evident in our long list of hundreds of happy customers and not one single complain to the Builder’s Board. 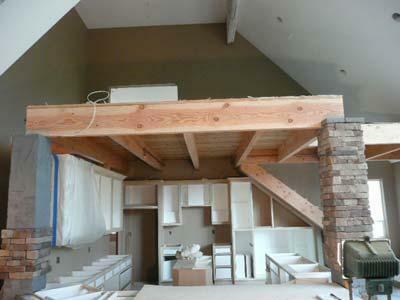 Talk to us about the remodeling project you have in mind. Let’s get the conversation started! We also offer services in these cities near Tualatin: Tigard, Lake Oswego, Portland.